Nicole Spring spent the summer tending a garden, but the food she grew wasn’t destined for her. 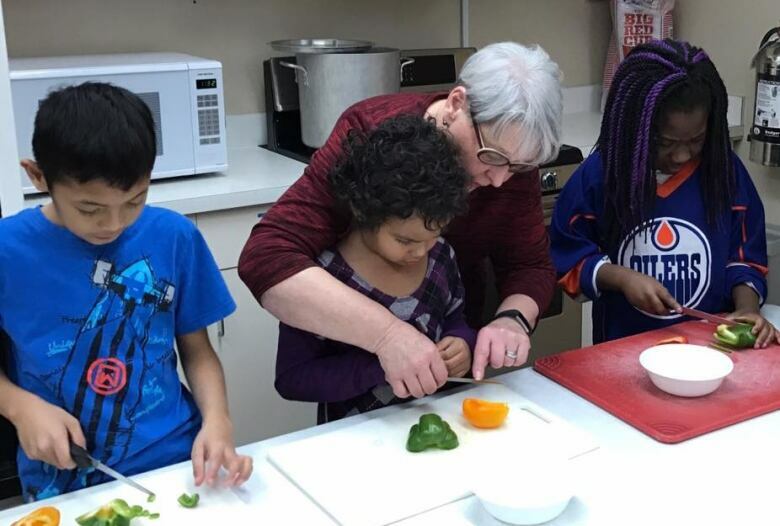 Spring is one of many Edmontonians who are trying to connect people in need with healthy food at no or low cost. Nicole Spring spent the summer tending a garden in the Garneau neighbourhood, but the vegetables she grew weren't for her. Spring is one of many Edmontonians who are trying to connect people in need with healthy food at low or no cost. "I wanted to offer something that increased their accessibility to local food," said Spring, who founded Veg in Yeg earlier this year. The social enterprise grows and delivers vegetables to customers on a "pay what you can" model. "I started this to give those people access to the food they wanted to buy right on their doorstep, at an affordable price," she said. But Spring recognizes that her initiative is only making a dent in the food insecurity problem that exists in Edmonton. "I hope to join many organizations and businesses in the city that are doing their bit to bridge the gap," said Spring. 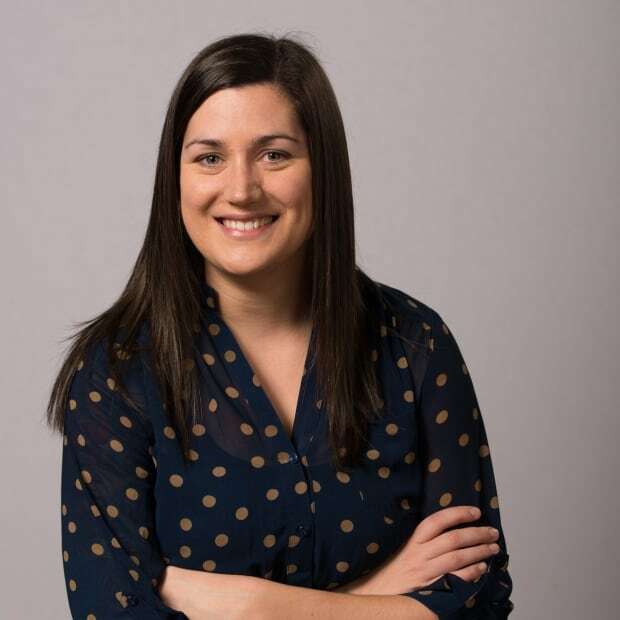 Food insecurity is a symptom of poverty that can be difficult to tackle, said Ashley Bouchard, who is responsible for programming with Food 4 Good, a branch of the Jasper Place Wellness Centre. "Using food waste to feed low-income families and creating community gardens and that sort of thing are fine initiatives, but the underlying issue is systemic," said Bouchard. Groups throughout Edmonton are doing what they can to address hunger in their communities. The volunteers from Fruits of Sherbrooke turn unwanted fruit into jams, jellies and sauces. They also make healthy apple chips and apple sauce for school children. "It feels good to know that they are getting nutritious snacks," said Carol Cooper, who directs the production side for the non-profit. Under Cooper's guidance, volunteers transform fruit picked from donors' yards into products for sale. "The profits come back in, and they go to make fruit snacks for inner-city schools and local organizations that have a need for food," said director of sales Alan Cosh. Fruits of Sherbrooke also connects with groups that help new immigrants settle into their communities. "We will pick what we need for ourselves, but we'll also direct them," said Cooper. "They're quite excited because they're going to get real food." Cooper hopes to eventually expand Fruits of Sherbrooke to offer training and work experience for newcomers to Canada. "Expanding is easy if we had the finances and the volunteers," said Cooper. "The fruit is there and the need is there." At Lady Flower Gardens, in northeast Edmonton, marginalized people get a chance to give back. "They get the chance to build community, and they get the chance to make this place their own," said garden co-ordinator Abbi Hofstede. "I think people really feel a sense of pride." Volunteers can take home a basket of vegetables for themselves, and the rest of the harvest is donated to the Edmonton Food Bank. "We use the food as a medium for community development," said Hofstede. "It brings people together, and working in a garden is a very collaborative activity." Spring hopes to foster the same community spirit in Veg for Yeg's garden. "I want to create a space where people from all backgrounds can help out and connect, and reconnect with where their food comes from," said Spring. Reaching their target population can be a challenge, because people don't always have access to smartphones or an Internet connection. "The easy and cheap ways of communicating are not reaching those folks," said Bouchard. But the creation of a community food centre in Edmonton's west end will make it easier for people to access programs, she said. Food 4 Good hopes to have the centre running in a year. It would be the first of its kind in the city. "It's kind of like a community rec centre, but with food at its core," said Bouchard. The space will include a commercial kitchen and a dining area, allowing people to cook, eat and learn with each other. "People might come in the doors for a community meal, but then there's so many more resources, workshops, classes, and supports that we can connect them to from there," said Bouchard. "The food centre is really going to give us roots and a home base to expand what we do."